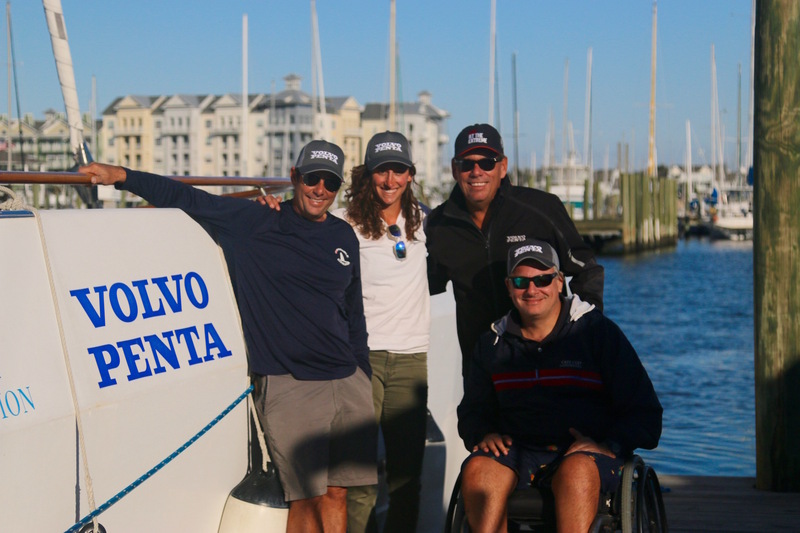 Crew members of the Impossible Dream met with the people who put the power in their universally accessible catamaran on Friday, Oct. 12, when the Volvo Penta of the Americas staff welcomed them to Cobb’s Marina in Norfolk. Impossible Dream was designed to be sailed by people with disabilities and was developed by Mike Browne, a paraplegic who envisioned a vessel that could be fully operational by a person in a wheelchair. Each year, the mixed-ability crew navigates over 6,000 miles from Miami to Quebec City, stopping at over 25 ports of call to sail with people who are currently undergoing physical rehabilitation. 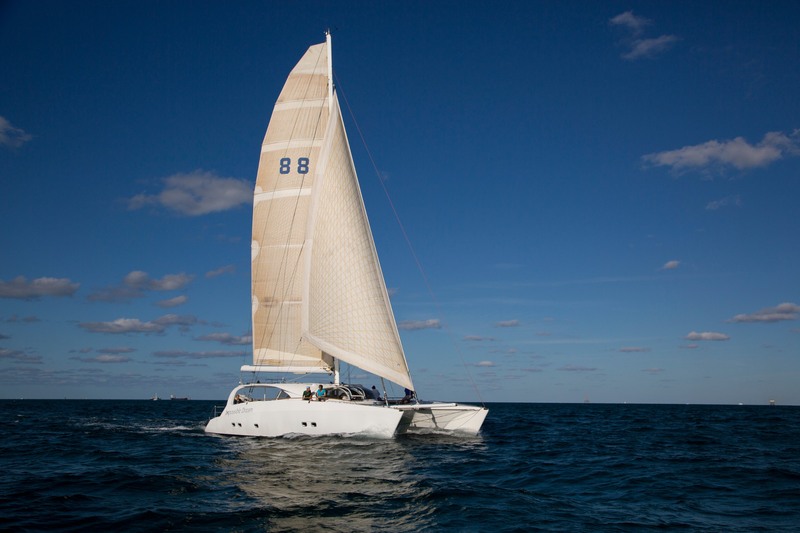 The 60-foot Impossible Dream sails with the help of donated saildrives from Volvo Penta, along with newly installed Volvo Penta D2-75 engines. At the private event, crew members from the Shake-a-Leg Miami Foundation conducted a ride-along on the south shore of the Chesapeake Bay. Along with Volvo Penta employees, local wounded veterans from the Department of Veterans Affairs Norfolk Vet Center and their families participated.